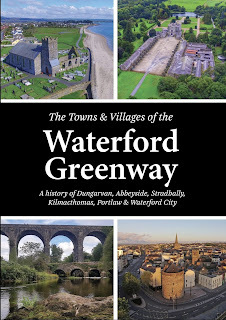 A history of Dungarvan, Abbeyside, Stradbally, Kilmacthomas, Portlaw and Waterford. A major new history book 'The Towns and Villages of the Waterford Greenway' is being launched on the 14th of December. Subtitled: A history of Dungarvan, Abbeyside, Stradbally, Kilmacthomas, Portlaw and Waterford, explores a thousand years of Waterford history in the company of some of the county's best known local historians. 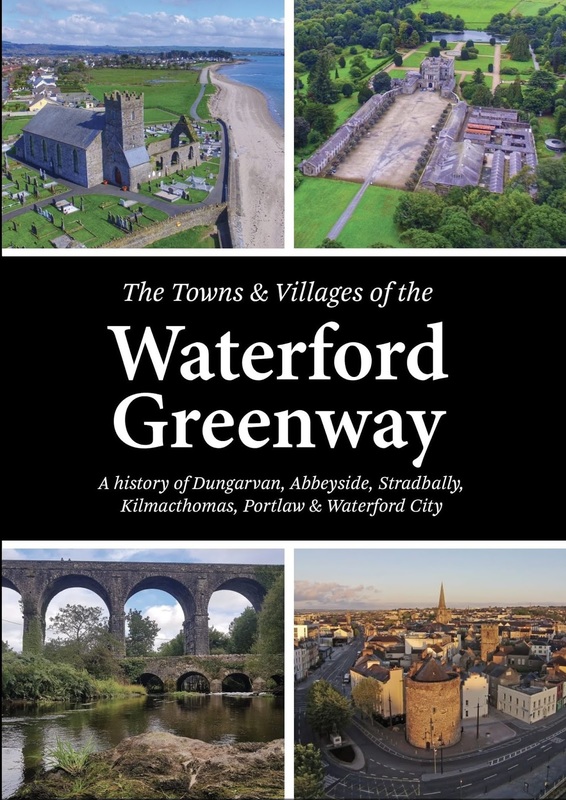 Lavishly illustrated with historic and contemporary photographs, this book takes you off the beaten track to explore the towns and villages of the Waterford Greenway. This 270 page book, chronicling the history of the localities surrounding the Greenway, is the result of work by four heritage groups, eleven historians, three photographers and two illustrators over a two-year period. All profits from this book are being donated to Portlaw Heritage Centre, Stradbally Church Ruins Committee, Waterford Archaeological and Historical Society and Waterford County Museum. The aim of the book was to create an accessible, well-researched history of the towns, villages and heritage along the Greenway. The book also features a concise historically accurate history of the railway. The target market for the publication looks beyond history enthusiasts. Locals wanting to learn about their native place, schools looking for history projects, visitors searching for an attractive souvenir of their visit, tourist businesses looking for accurate information for their guests are all catered for. Authors contributing to the book included Eddie Cantwell, Ger Crotty, Cian Flaherty, William Fraher, Christina Knight-O’Connor, Cian Manning, Seán and Síle Murphy, Julian Walton, Martin Whelan and Willie Whelan. Photographers for the publication were Eamonn Bolger, John Foley and Pat Kenealy. The original illustrations were provided by Michael Power and Anne Lannon Power. The project was initiated and managed for Waterford County Museum by Willie Whelan. The museum would like to thank Waterford Council, The Heritage Council and Waterford Leader Partnership for their support of this project. The book will be stocked from Friday the 14th of December in the following outlets: Eurospar Abbeyside, Reader’s Choice, Shalloe’s Newsagents, Dungarvan Tourist Office, Waterford County Museum and Easons (all in Dungarvan). The book will also be available in Cunningham's Supermarket, Stradbally; Kilmacthomas Post Office; Dunhill Education Centre; Fogarty’s Shop, Portlaw; Portlaw Heritage Centre; Hickson's Centra, Kilmeaden; The Book Centre, Waterford; Waterford Museum of Treasures; Lismore Heritage Centre. If anyone has issues in sourcing a copy contact Waterford County Museum on info@waterfordmuseum.ie or phone 058 45960.